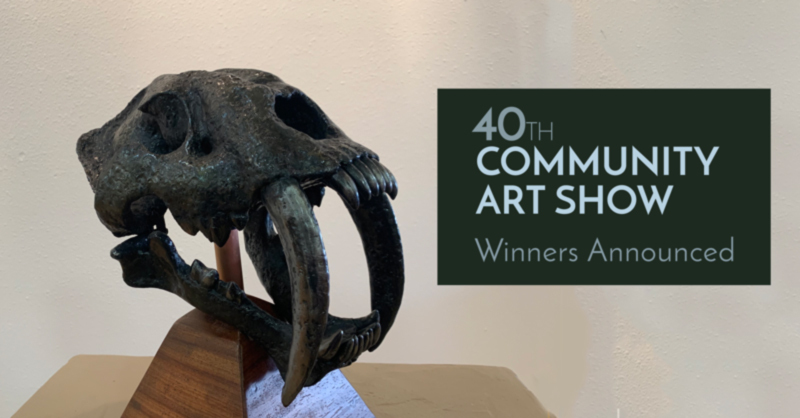 The Matthews Opera House and Arts Center is excited to announce the winners of the Community Art Show. Formerly known as the “Winter Art Show,” this was the fortieth event of its kind to be hosted by The Matthews. The Matthews Opera House and Arts Center will be exhibiting the work of contracted artists starting May 14, 2019. This marks the return to regular operations after several months of NEA Big Read events and the Community Art Show. We are excited to once again display the work of Black Hills artists. Applications are due before 5:00 p.m. MDT on Wednesday, May 8th, 2019. For application purposes, the Black Hills area includes anywhere within South Dakota or Wyoming — approximately one hundred miles from the Black Hills. Our call is open to new artists as well as artists who have previously been contracted by The Matthews. Through this call, we hope to find forty to fifty artists whose work will be showcased at The Matthews. During the jurying process, the Gallery Committee will be assessing applicants based on the quality of work submitted and the needs of the gallery in terms of aesthetic balance and diversity. The title, price, and medium of each of the works represented in the JPEG images. Please include whether the work is an original, limited edition print, etc. A brief artist statement. It should be no longer than 250 words. PLEASE NOTE: Applications without all the above-listed information (minus a website) will be considered incomplete. Incomplete applications will receive one email response requesting the missing information. If the requested information is not received by 5:00 p.m. MDT on Wednesday, May 8th, the application will not be considered for the gallery. Artists may also deliver up to three physical pieces if they believe digital images do not adequately represent their work. This will not take the place of the three JPEG images required in the email application. Those artists delivering physical work will not be favored over artists who only submit digital images. Jurying will take place on Thursday, May 9th, by the Gallery Committee. 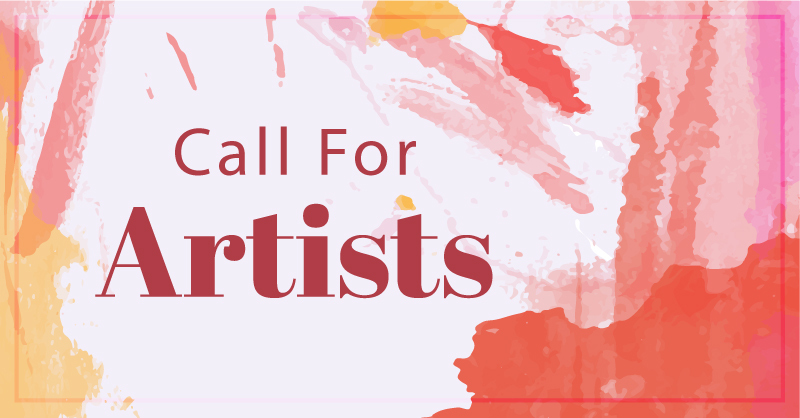 All artists who have applied will be notified on Friday, May 10th via email by our gallery manager, Heather Evans, regarding the committee’s decision. Fulfill an artist obligation of either a $50 donation or a donation of the artist’s work valued at $150 to be sold in The Matthews or for fundraising events. All sales of the artist’s work in The Matthews are commissionable, with The Matthews retaining 35% of revenue in sales. Any and all questions regarding the application, jurying process, contract (link below), or other questions pertaining to the call may be submitted to Heather Evans, gallery manager, via phone or email. From time to time, The Matthews seeks out talented people who value the arts in everyday life to be part of our crew. When that happens, we provide the position with job descriptions and requirements below. Due to road flooding, then drifting snow, near Lower Brule, artist Cary Thrall will not be able to attend the Mar. 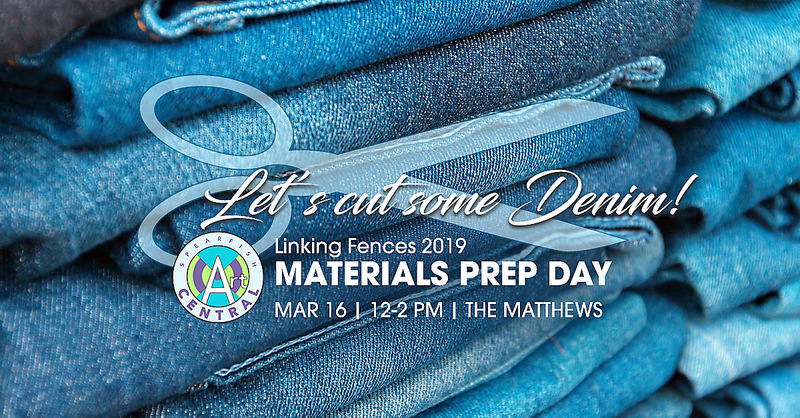 16 denim cutting at The Matthews. This event will be rescheduled. However, the denim drive continues! In a salute to Station Eleven by Emily St. John Mandel, as part of the 2019 NEA Big Read Spearfish, The Matthews and the National Players Touring Theater invite you to step into a post-apocalyptic Spearfish and experience theater at its best under candlelight on our own traveling Truck Stage. 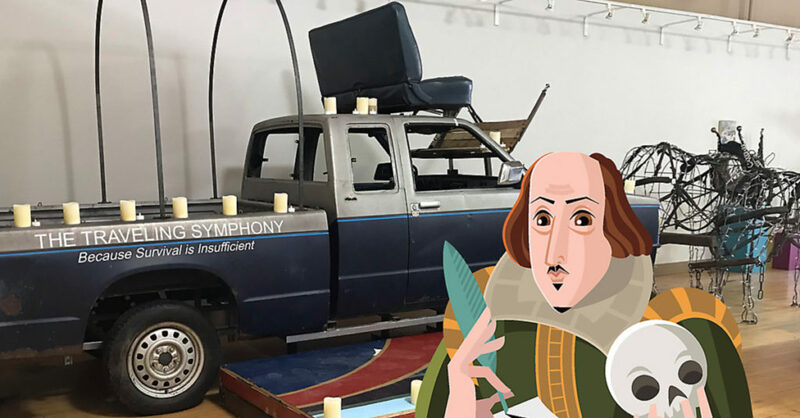 The Truck Stage performance will be on Tuesday, March 26 at 7:00 p.m.